We are on a mission to solve the most pressing problems our planet's poorest people face. We Donate 10% of our profits to the world’s most effective charities, who have all been vetted by Give Well, and promote their work. GiveWell curates a group of selective organizations that are highly cost effective. Usually these charities can save or significantly improve someone's life for every few thousand dollars they receive as a donation. Learn more here. AMF is consistently ranked as Give Well's top-rated organization. 400,000 people die each year of malaria. 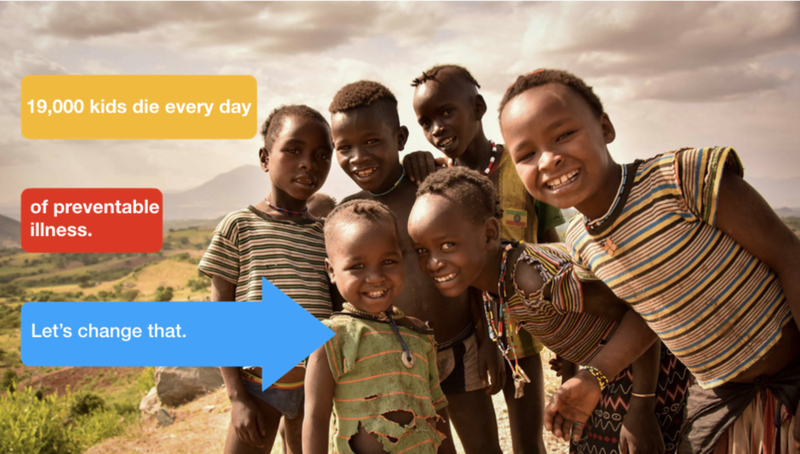 AMF helps dramatically reduce this number by distributing long lasting insecticide bed nets. These nets cost just $4, cover two people, and last for two years. It has been estimated that AMF saves a life for every $5,500 they receive in donations. We are proud supporters of this outstanding charity. Check out their work here. Even a very small donation makes a very large difference. In India children are dewormed for a total of about $0.34 per child, or $0.09 per child excluding the value of teachers’ and principals’ time spent on the program. In Kenya, we estimate the total cost per treatment at about $0.71 per treatment or $0.50 excluding the value of teachers’ and principals’ time spent on the program.